Johannesburg - Ratings agencies won’t react to the mini budget immediately, but are rather keeping watch of the ANC succession race which will come to a head in December, according to Dr Azar Jammine, chief economist at Econometrix. “The most important thing for ratings agencies is who will win the ANC election,” he told Fin24 after the mini budget speech. There is very little in the mini budget to change the views of ratings agencies, he explained. Ratings agencies are likely to issue a warning in November. Depending on what happens between December and April, a downgrade would be made in April, he told Fin24. The mini budget has increased the likelihood of additional credit rating downgrades before year-end, says Lesiba Mothata, Alexander Forbes Investment executive chief economist. For him the mini budget has “painted a worrisome picture”. “Substantial fiscal policy uncertainty has been introduced by the weak economic growth outlook, altered budgeting process and deteriorating debt position,” he said. Treasury had revised down the growth forecast from 1.3% to 0.7%. The economy is at risk of fiscal slippage as the debt to gross domestic product (GDP) ratio could escalate to 60% over the next decade. To stabilise this, tax hikes up to R40bn is needed. Debt servicing costs are also expected to rise, accounting for 15% of budget revenue. Tax revenue is also expected to fall short by R50.8bn, for the first time since the global financial crisis in 2009, said Mothata. The mini budget only diagnosed problems, but did not indicate how these issues would be resolved, said Mothata. A presidential task force will be appointed to deal with the fiscal challenges and the plan will be put forward at the National Budget in February 2018. 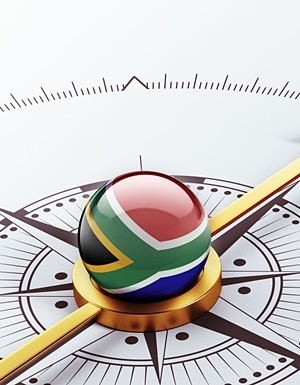 “This represents a fundamental shift away from the budgeting framework SA has been accustomed to since 1994, and it will have negative consequences for how markets react – including potential credit ratings downgrades,” he said. Ratings agencies may also have a negative view on the bailouts for South African Airways (SAA) and the South African Post Office (SAPO), amounting to R3.9bn. “There is a notable and material deterioration in SA’s fiscal position, which will result in the 90% of debt issued in rands being downgraded into non-investment grade, with potential capital outflows ensuing as a consequence,” explained Mothata. “Clearly, the fiscal path presented in this mini budget cannot be sustained. Much of the required changes need a different political input. 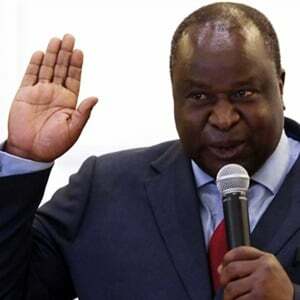 “Without a well-considered reform in the political construct at the December ANC electoral conference, the stakes have risen for an impactful negative economic scenario, which will adversely impact the financial well-being of all South Africans,” he said. Sanisha Packirisamy, economist at Momentum Investments, said ratings agencies Moody’s and S&P would possibly downgrade when they do their reviews in November. Persistent political uncertainty, unfavourable economic conditions, absence of bolder reform efforts, troubled state-owned enterprises (SOEs) and limited fiscal flexibility are among the contributing factors. “While SA should by growing its state assets, the country is accumulating more state dependencies, which aggravate SA’s overall debt profile and creditworthiness risks,” said Packirisamy. A downgrade would lead to South Africa dropping out of the World Government Bond Index (WGBI), resulting in capital outflows between R85bn and R130bn from the government bond market. “Re-entry into the index will be difficult to achieve,” said Packirisamy. Maarten Ackerman, chief economist at Citadel, is of the view that an increase in political instability between now and December will result in a local currency downgrade. The deteriorating fiscal framework will act as a headwind to achieve reform in state-owned enterprises, job creation, restore confidence and inclusive growth, he explained. “The currency has already reacted negatively on today’s numbers and another downgrade will put significant pressure on the currency and long term government bond yields,” he said. This will further increase interest payments as a percentage of the budget. Chief economist at Old Mutual Investment Group Johann Els echoed views that a downgrade is likely before year end. The mini budget “missed the mark” and raised deficit and debt targets without a plan to bring it back over the medium term, he said. “This is significant as no attempt was made whatsoever to continue with the policy of fiscal consolidation. No attempt was made at significant further expenditure cutbacks, no further plans for extra tax revenue, no plans to boost economic growth,” he said. “The lack of plans for fiscal consolidation and reigning in the debt ratio means that SA's local currency credit ratings will likely be cut to junk status within weeks. “Multiple downgrades within the next six to 12 months are very likely,” said Els.